Despite ongoing efforts to reduce the jail population and prioritize social services, the Alameda County Sheriff's Office is quietly pursuing $80 million to build a new jail unit. Bert Johnson Ella Baker Center organizer Tash Nguyen says Alameda County should not expand its jail. In March, East Bay human rights activists scored a major victory when the Alameda County Board of Supervisors passed a resolution to shift funding away from the county jail and increase investments in community-based organizations that support people reentering society after incarceration. For years, activists lamented the fact that the county allocated a significant majority of its so-called Public Safety Realignment budget to Santa Rita Jail — and failed to adequately fund social services that are critical for people caught up in the criminal justice system. The March resolution stated that in the 2015–16 budget, the county would for the first time spend 50 percent of this public safety funding on programs outside of jail. But three months later, on June 30, the board quietly approved a resolution that appeared to have the opposite intent — authorizing the Alameda County Sheriff's Office to seek up to $80 million in state funds for a jail expansion. There was no public discussion of the proposal, which the board unanimously approved as part of a package of obscure resolutions related to budgets and contracts. In a short memo, Sheriff Greg Ahern told the board of supervisors that his office, which oversees Santa Rita Jail, was seeking funding to construct a two-story, 30,000-square-foot unit at Santa Rita. 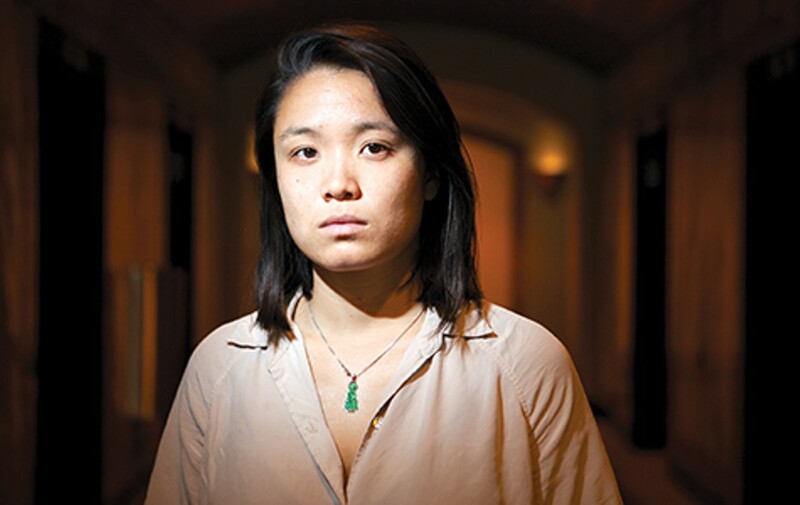 Tash Nguyen, organizer with the Ella Baker Center for Human Rights — an Oakland-based nonprofit that closely monitors the sheriff's budget and had pushed for the passage of the March resolution — said she only learned of the potential expansion when reading a recent news article that peripherally mentioned it. Nguyen and a group of criminal justice reform advocates from across the state are now pushing Alameda County to reconsider any potential jail expansion — but because the board approved the sheriff's initiative months ago, it may be too late. What's more, now that advocates are asking questions about the grant, the sheriff's office is declining to provide basic information on its project and is refusing to release a copy of the formal proposal it recently submitted to the state. This lack of transparency only further fuels activists' fears that the jail expansion is a regressive proposal that directly contradicts local and state efforts to reduce incarceration rates and prioritize community-based services. Critics say that, in addition to wasting taxpayer money on construction and future operating costs, the growth of the jail could incentivize the county to fill the new unit and keep offenders locked up longer than they should be. And the sheriff's efforts are coming at a time when experts and lawmakers have increasingly recognized that jails and prisons do a poor job of rehabilitating inmates and that local governments need to invest in programs that help people move forward — by providing access to housing, jobs, drug treatment, education, and other services. "We know that these resources should be in the community," said Nguyen, who recently met with the sheriff's office to discuss the expansion. "Let's find a means to sustainably reduce jail populations ... and divert people who shouldn't even be there in the first place." Assistant Sheriff Brett Keteles declined to comment on the expansion proposal and said his office would not be releasing the application to the public at this time. Alameda County Counsel Donna Ziegler contended in an interview that the application is not a public record because it's part of an ongoing competitive bid process. According to the board of supervisors' short resolution permitting the sheriff to pursue the funding, the department is seeking up to $80 million in state funds that are available to county jails through Senate Bill 863, legislation that passed in 2014. That bill authorizes the state to award up to $500 million in construction financing for county adult jails. The projects, according to state guidelines, should be geared toward replacing or renovating outdated or unsafe jail facilities or building new units focused on rehabilitative services or mental health treatment. SB 863 further stipulates that the projects should not increase a jail's capacity — unless a county has documented a clear deficiency in its number of beds. The Board of State and Community Corrections (BSCC), which reviews and selects applications, doled out a first round of jail construction funds to thirteen counties in 2013 as part of Senate Bill 1022, similar legislation that Governor Jerry Brown signed in 2012. As of last week, 32 counties had submitted proposals for the second round of funds through SB 863, and BSCC is beginning the process of reviewing applications, according to spokesperson Tracie Cone. The board will select proposals in November, she said. BSCC also declined to provide me with a copy of Alameda County's proposal. The Alameda County Sheriff's Office, which did not apply for funding through the 2012 legislation, told the board that it wants to build a new "Mental Health Program and Services Unit" in Santa Rita Jail. That wing, according to the board resolution, would include housing, administrative offices, mental health treatment programs, and reentry services for mentally ill inmates. The county selected a private firm, Vanir Construction Management, to prepare the application. (Vanir representatives did not respond to a request for comment). The project, which would not increase the county's jail capacity, could address a major gap in mental health services at the facility, according to Ahern's three-page memo to the board of supervisors. Currently, roughly 20 to 25 percent of county jail inmates suffer from mental illness. In recent months, the county has housed an average of roughly 2,800 total inmates per day in Santa Rita and in Glenn Dyer Jail in Oakland. There are no reentry programs in the county geared toward mentally ill inmates, and when they are released, they are given one week's worth of medication and a referral to a local mental health clinic, according to the sheriff. In addition to better supporting inmates with mental illnesses, the expansion project would also help ensure that the facility is in compliance with state and federal laws that require the jail to be accessible to disabled people, according to Ahern's memo. It's unclear, however, if potential concerns about Americans with Disabilities Act (ADA) violations are driving the expansion proposal. Keteles, the assistant sheriff, told me in an email, "We do consider Santa Rita to be ADA accessible, but we are always looking to improve this." While efforts to make the facility more accommodating for people with mental illnesses may sound promising, advocates said that Santa Rita Jail is an inappropriate setting for people to receive the kind of care and treatment they require. On the contrary, studies have shown how jails and prisons can lead inmates to develop mental illnesses or exacerbate existing ones. And at Santa Rita Jail in particular, a number of recent controversies and lawsuits have shed light on how the sheriff's office has disregarded the mental health and medical needs of the people living in its jails, critics say. The county and its Santa Rita Jail health care contractor recently agreed to pay an $8.3 million settlement to the family of Martin Harrison who died behind bars after allegedly receiving inadequate healthcare treatment. And in July, another inmate, Mario Martinez, died from an asthma attack after he had complained that he was having trouble breathing, his family has said. 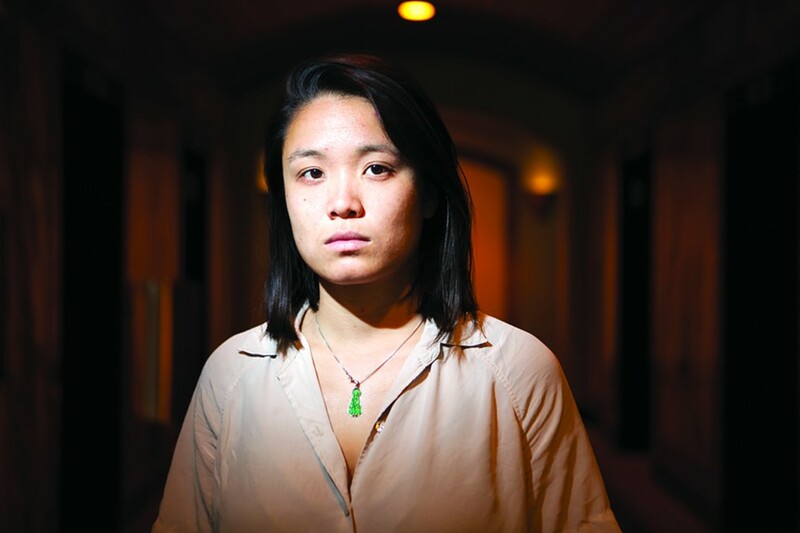 "We know this jail has no regard for human life," said Nguyen, adding, "I'm personally really fearful of jails becoming the new social service providers." She argued that law enforcement agencies should focus on ways to divert mentally ill people from jail and get them treatment outside of the criminal justice system. Lizzie Buchen, statewide advocacy and communications co-coordinator with Californians United for a Responsible Budget, a group that has protested jail expansions, noted that the vast majority of Alameda County jail inmates are awaiting trial and have not yet been convicted. Many, she said, are stuck behind bars because they can't afford to pay bail, which means mentally ill inmates needlessly suffer the harms of incarceration. From January through March of this year, 2,173 out of 2,791 inmates (78 percent) were awaiting trial in Alameda County, according to state data. If the county prioritized efforts to divert inmates who don't pose a public safety risk, it could significantly reduce its jail population and save money, Buchen said. The sheriff's office could then invest those savings into programs that ensure that the people who truly need to be locked up receive humane and rehabilitative treatment behind bars. This, she said, would be a much more progressive solution than expanding the facility to serve consistently high rates of inmates. "A jail is not an effective place to administer mental health treatment," Buchen added. "You have no sense of control. You're separated from your social network and your family." Meanwhile, the proposed jail expansion is coming at a time when the county has, in fact, reduced its jail population. From January to March of 2014, the county housed an average of 3,301 inmates per day — 510 more than the same time period this year. Nationally, jails and prisons have, by default, become mental health providers, because community-based mental health programs have remained woefully underfunded, experts note. But most jails are not designed to serve this population, according to Martin Horn, a John Jay College of Criminal Justice lecturer and a former New York City corrections official. "The very physical environment is counter-therapeutic," he said. But, he added, "This is where our society has chosen to put people with mental illnesses in very large numbers, and it's unfair to them and unfair to the jailers to deny them resources to do the job."